Traumatized by memories of his war-ravaged country, and with his son and daughter-in-law dead, Monsieur Linh travels to a foreign land to bring the child in his arms to safety. The other refugees in the detention centre are unsure how to help the old man; his caseworkers are compassionate, but overworked. Monsieur Linh struggles beneath the weight of his sorrow, and becomes increasingly bewildered and isolated in this unfamiliar, fast-moving town. And then he encounters Monsieur Bark. They do not speak each other's language, but Monsieur Bark is sympathetic to the foreigner's need to care for the child. Recently widowed and equally alone, he is eager to talk, and Monsieur Linh knows how to listen. The two men share their solitude, and find friendship in an unlikely dialogue between two very different cultures. 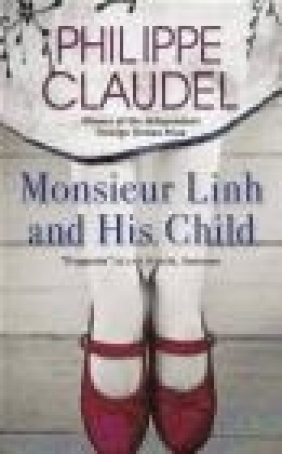 Monsieur Linh and His Child is a remarkable novel with an extraordinary twist, a subtle portrait of friendship and a dialogue between two cultures. 'Like all good fables, it conveys the sense of a greater significance beyond itself' Daniel Hahn, Independent. 'There is nothing sentimental about the prose, which is as restrained and delicate as a piece of Indochinese artwork' Ophelia Field, Guardian. 'This is an extraordinary, powerful and moving novel of the refugee experience ... Highly recommended' Sarah Bower, Historical Novels Society. 'A delicately sympathetic portrayal of trauma, as well as a poignant evocation of guilt' Maya Jaggi, Guardian. 'An exquisitely crafted little gem of a book' Rebecca Isherwood, Skinny. 'Exquisite' Allan Massie, Scotsman. 'an impossibly elegant novel, one that makes you sort of wistful at the beauty of the words and their meaning' Black Sheep Dances. 'Claudel maintains a simplicity and sensitivity throughout the book, mirroring the compassion and sympathy that the men share for each other' The Irish Times.